If you have ever been tempted by a Veritas plane – the quality machining, the fine cut, the aesthetic look of polished metal and black finish but couldn’t afford the limited edition planes, then this may be the one for you. It is a low angle block plane, and turns a curl exactly as you’d hope. I refer to a small selection of tools as being apron tools – those you live with in your shop apron, ready at a moment’s notice. This plane is more of a pocket plane, but perhaps not quite for the reason you’d expect. But you’ll see why I think that in a sec. 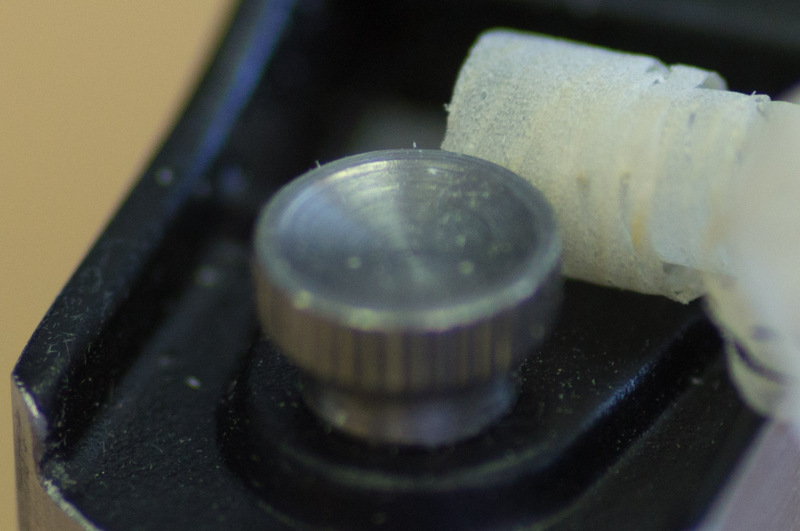 Before going further, just check out the quality of the shavings, and the thinness. You can see the colours through even where it is, and if you held the shaving over a book, the text can be read easily. Not sure if I have ever used the word wispy on this site before, ever. 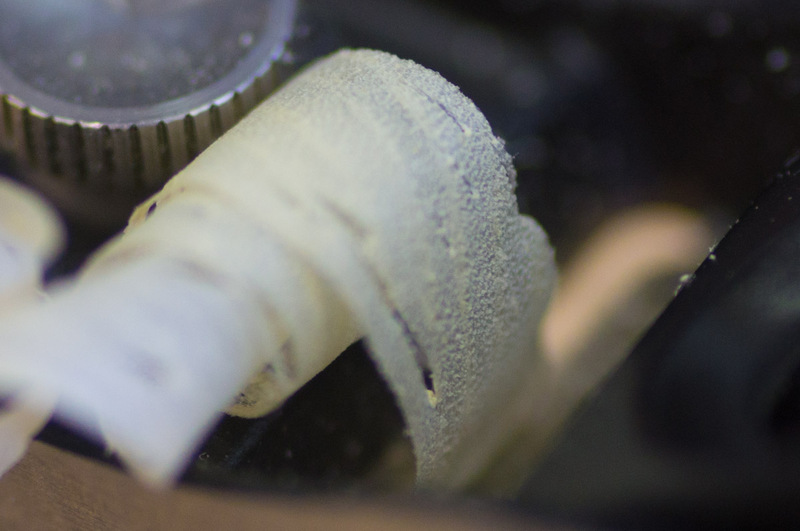 1 million words, and this the first use of wispy, but that is about the best description of these shavings. If you drop one, it takes forever to hit the bench. The other interesting thing about this plane, is you can get it into places where many others cannot reach, due to a relatively unique feature. 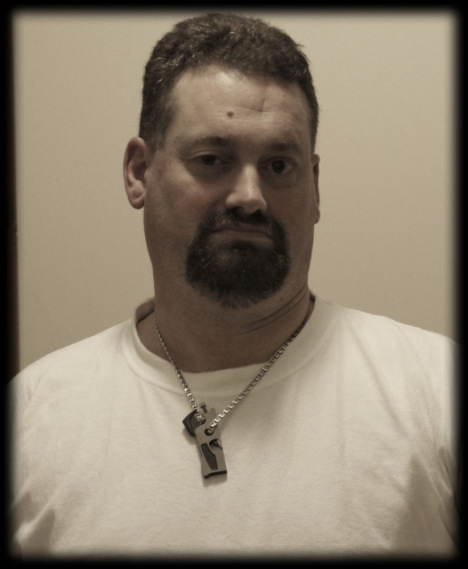 A picture tells a thousand words, so guess this next one is the best way to describe that feature. Heh – sorry. 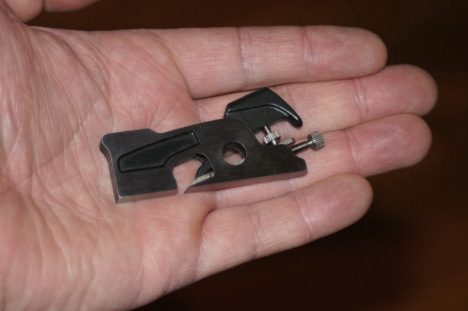 Yes, it is a miniature of their block plane. 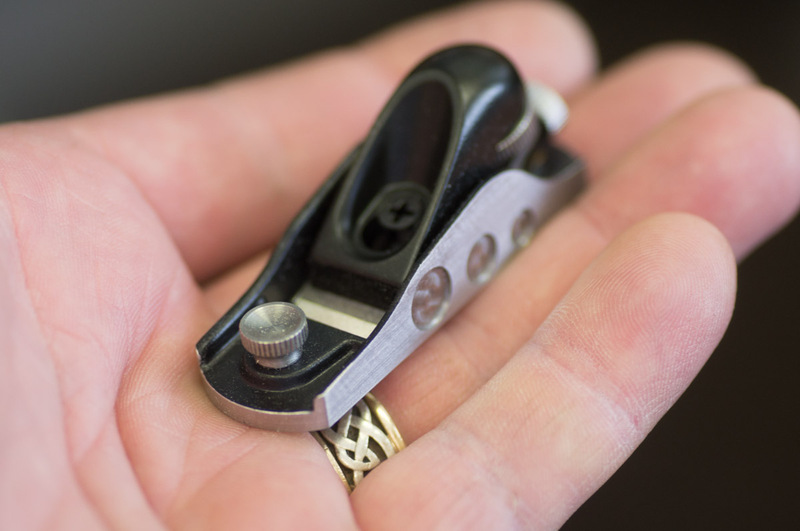 A perfectly functional miniature block plane. 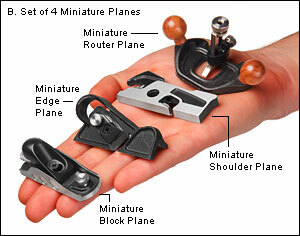 Part of the range of miniature planes from Veritas. 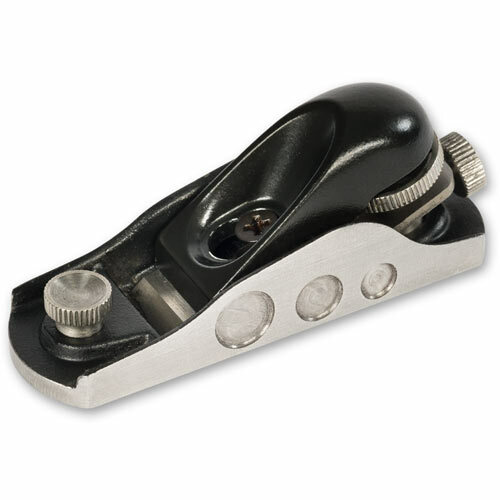 I have the shoulder plane as well – haven’t seen the edge plane or router plane before. Would make a cool set. 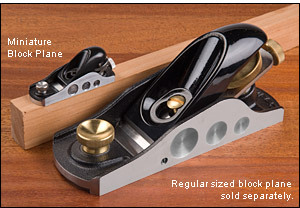 The price of the block plane isn’t $300, or $500 – the pricing around their full sized versions. This one will cost you around $55. As seen at Carbatec.